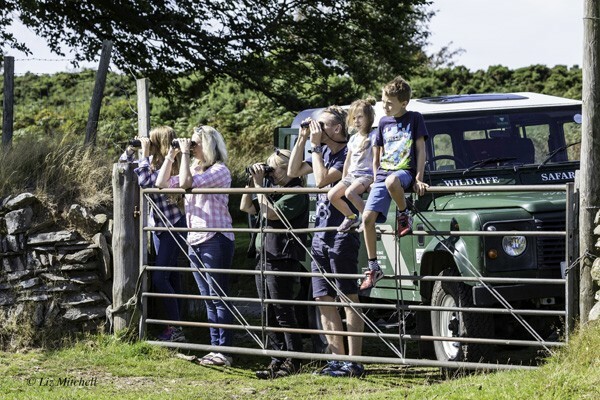 To understand the present appearance of Exmoor we must go back hundreds of millions of years to the times when the surface of the earth was undergoing massive and primeval changes. Oceans rose and fell, land masses moved and collided, temperatures fluctuated and climates varied to extremes. Sediments from ancient mountain ranges were washed down and settled as layers on the sea bed. Under different conditions layers of dead sea life accumulated on the same sea bed. The cycles of events were repeated many times. Ocean floors became dry land before vanishing again below the sea. The sea bed layers were compressed and hardened by the alternating pressure of water and drying by the sun. The land mass of which a part became Exmoor moved steadily north from the southern hemisphere and eventually collided with an older continent. The forces resulting from the collision shattered, corrugated and fractured the land. Great slabs of layered rock were angled in ridges across the landscape. Since those momentous events the weather has played the greatest part in wearing down the jagged fractured rocks which being fairly soft have eroded into the rounded hills and ridges interspersed with deep river valleys we see today. Although the glaciers of the Ice Ages did not quite cross the Bristol Channel the snow and ice melt from the tundra like conditions on Exmoor accelerated the erosion process. The time of the arrival of man on Exmoor cannot be determined with any accuracy. The discovery of Stone Age arrow heads and tools at a very few locations suggest there were hunting parties in the area in pre-historic times. In the Bronze Age man was well established on Exmoor in a climate a lot warmer than today. Not a lot is known of these people of 4,000 years ago. They have left us their burial mounds or barrows on the hill tops and some stone monuments of unknown significance. Like the rest of the south of England up until the Bronze Age, Exmoor was covered in broadleaf forest which had advanced north from Europe since the passing of the Ice Age. The Bronze Age people started to fell the trees to clear grazing for their cattle. The clearing of the forests accelerated in the Iron Age when better tools were available. The Iron Age people have left us more evidence of their activities with an abundance of fortified settlements and hilltop earthwork forts indicating the disorder of those times and the need to defend against invasion. The climate had cooled. Settlements and cultivation were confined to the valleys and lower hill slopes. Conventional wisdom did conclude the Romans had little influence in the area apart from fortlets built on the north coast to warn of marauders from across the Bristol Channel. Recent discoveries suggest the Romans were responsible for some of the mining activities on Exmoor. Little is known of the period between the Roman withdrawal from Britain in A.D. 410 and the coming of the Saxons who pushed ever westward subduing the native tribes. The Saxons were slow to advance into the bleak expanse of Exmoor but gradually they moved up the river valleys and settled the more fertile lower areas. 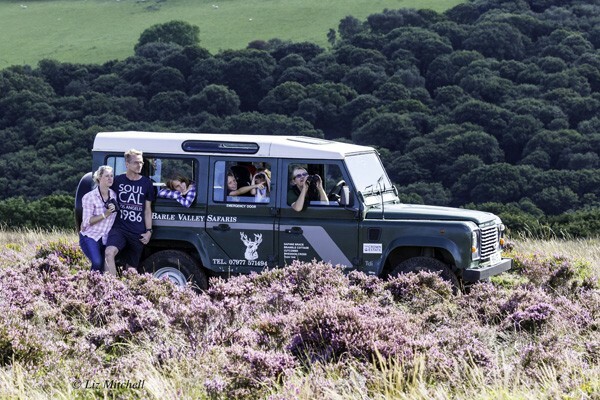 It was during these times the evolution of Exmoor as a Royal Forest started. Throughout England the unclaimed and unpopulated infertile uplands such as Exmoor became regarded as royal property with ‘common’ rights to graze animals and gather wood or peat granted to local inhabitants. The Norman conquest saw the redistribution of the Saxon manors and the intent to formalise the ownership and governance of the wild areas with the introduction of Forest Law. 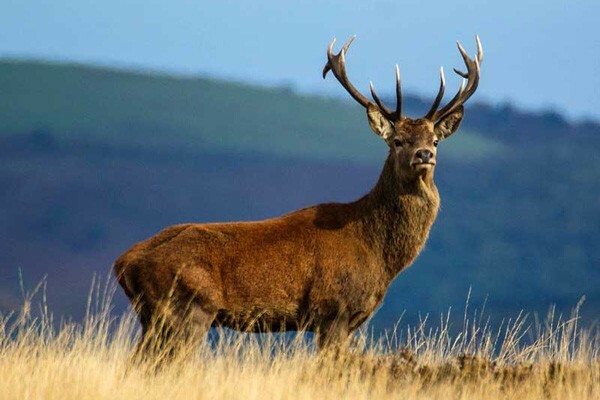 The term “forest” as applied to Exmoor did not imply the presence of extensive woodland but referred to an area of land where laws were in force to preserve certain animals notably deer for the pleasure of the crown. A Warden of the Forest was appointed to administer Exmoor. Initially a hereditary post it became an office to be leased from the crown. The Warden for a relatively small expense leased the Forest and was then free to extract money from the population in the form of charges per head of livestock grazed and other privileges. The harsh and complicated Forest Law gave the Warden unprecedented power over the local people. Barbaric punishment was stipulated for anything from poaching the royal deer to grazing animals at the wrong time of the year. Much of Exmoor was disafforested in the early fifteenth century and massive landholdings were established by powerful families. The Exmoor Forest controlled by a Warden was reduced to a smaller but substantial area centred on Simonsbath. This last area of Forest was sold by the crown in 1819 to a northern industrialist named John Knight. Up to then not much had changed in seven hundred years. The majority of Exmoor was moorland in the real sense. Some field cultivation took place but at subsistence level and not in the sense of farms and farming as we know today. Most of the activity consisted of livestock grazing on the moor. The moor was harsh, unyielding and sparsely populated. It was John Knight who, following the lead of landowners in other parts of England notably East Anglia, believed the majority of hitherto wild and uncultivated land could be converted to farming. Accordingly he built and tenanted farms in the area of the former Royal Forest, drained and ploughed up the moor, enclosed field with walled hedgerows and introduced cropping systems successful in other parts of the country. Not all of his innovations were successful. It was left to his descendants to carry on the work and to adapt newer farming methods to the harsher environment of Exmoor. The invention of steam powered traction engines for ploughing through the thick moorland crust accelerated the conversion of the land to farming. Other landowners followed suit and vast areas of moorland went under the plough with varying degrees of success. The viability of farming on Exmoor was always marginal. The First and Second World Wars changed that. German U-boats threatened the supplies of cheap imported food necessary to feed the expanding populations in the cities and towns. Farming and food production became Government priorities. Farmers were encouraged and paid to plough up even greater acreages of moorland to grow more crops and give richer pasture to raise more livestock. 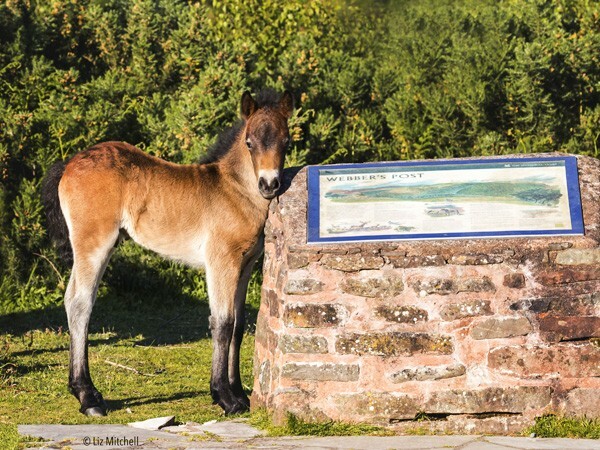 Such was the situation when Exmoor was designated as a National Park in 1954. Only forty percent of the true moorland remained intact and the new Authority had no powers to prevent further conversion of the moor to farming by landowners who were still motivated by government grants. Common sense eventually prevailed and very little moorland has been lost to the plough since the 1960’s. However, up to the present time farming has been subsidised according to the amount of food produced. The more livestock or crops the farmer grows or raises the greater the subsidies and the better for his income. This situation is likely to change in the near future when the subsidy paid to a farmer will be based upon the area of his land rather than what he produces. This system will almost certainly create fresh problems. The various landscapes and habitats for which Exmoor is famous are the result of past farming practices. Heather moorland for instance is preserved to a large extent by grazing animals. The challenge for the future will be to maintain Exmoor as a working environment for local people as well as an attraction for visitors.